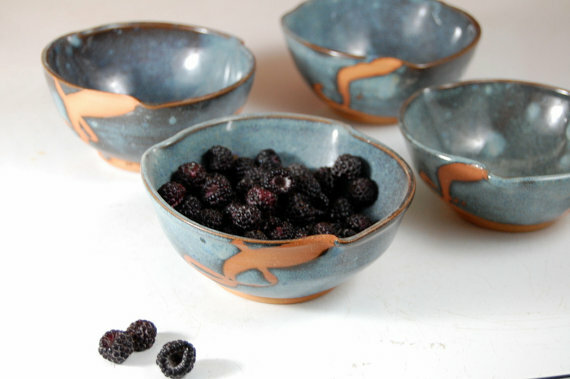 Each snack bowl was hand thrown on the pottery wheel from a durable stoneware clay and designed to to be versatile. 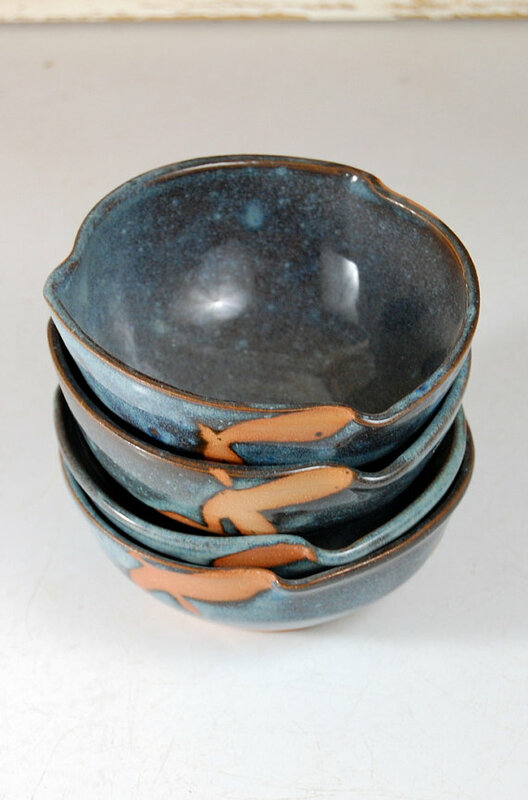 All of our snack bowls stack well and nest inside of each other for easy storage. 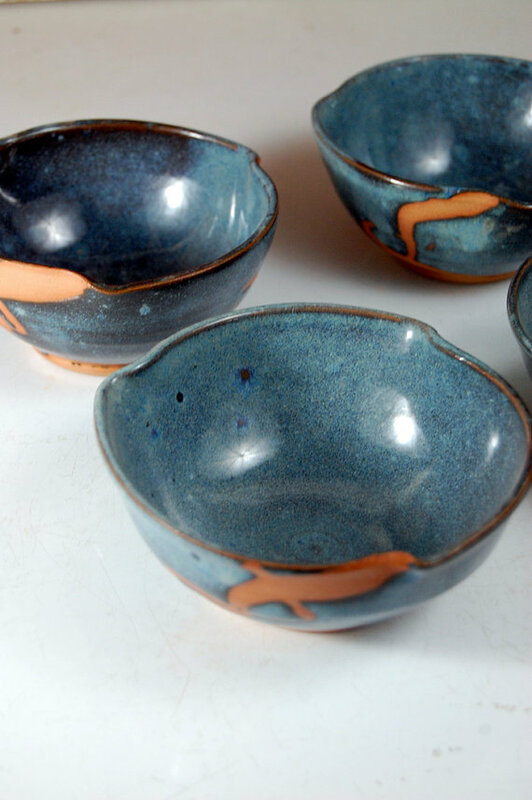 The beautiful yet subtle blue glaze with a rust chain is sure to brighten your home as well as enrich your cooking and eating experience. These snack bowls as well as all of our stoneware pottery is fully functional for daily use. 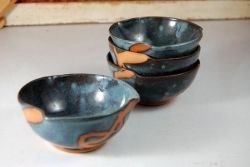 Our glazes never contains lead and is food safe, as well as dishwasher and microwave safe. 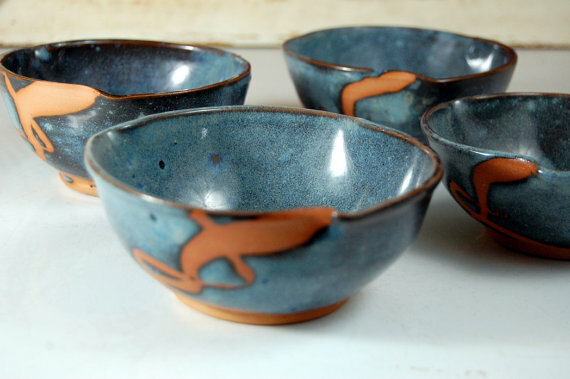 Expect slight variations in size and color, which is the nature of all things handmade.